As springtime in New York begins to roll in, the streets, parks, and people come to life. 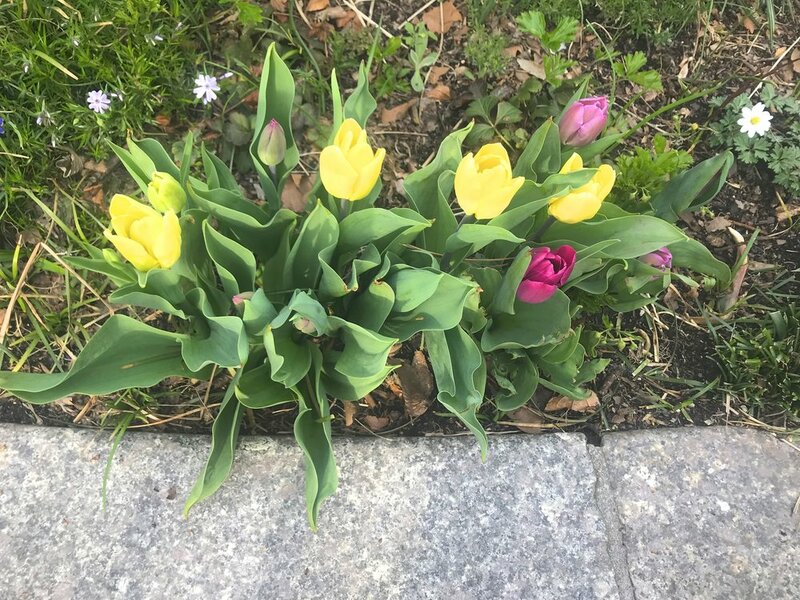 Early spring is one of my favorite times of the year in the city – before the trees are fully in bloom and those early blossoming flowers brighten the streets with vibrant colors. Tulips, daffodils, hyacinth, and crocus (those little purple guys that always seem to peek out of the snow at the first hint of warmth) fill the brown and empty tree boxes with little bursts of joy. But why is it that we spend all this time, effort, and money on planting our city streets, landscaping our yards, and filling our homes with flowering buds, especially when these goods only last a short period of time? In a few words – they simply make us happier. Simply being around flowers triggers happy emotions. A Rutgers behavioral study conducted by Jeannette Haviland-Jones and her husband Terry McGuire links the receiving or the presence of flowers to life satisfaction. In this study, 100% of participants who received flowers responded with a Duchenne smile – a smile of pure enjoyment (cheeks, mouth, and eyes). It is the kind of smile that is contagious. You can’t help but smirk when seeing someone with that kind of visible delight. This is why for hundreds of years flowers have played an emotional significance in our lives. Flowers are often gifted during times of joy and sadness. Whether they are presented as a cultural, religious, or personal adornment, they still evoke a positive reaction of gratitude. Having a down day? Here’s a few suggestions to get your flower on. 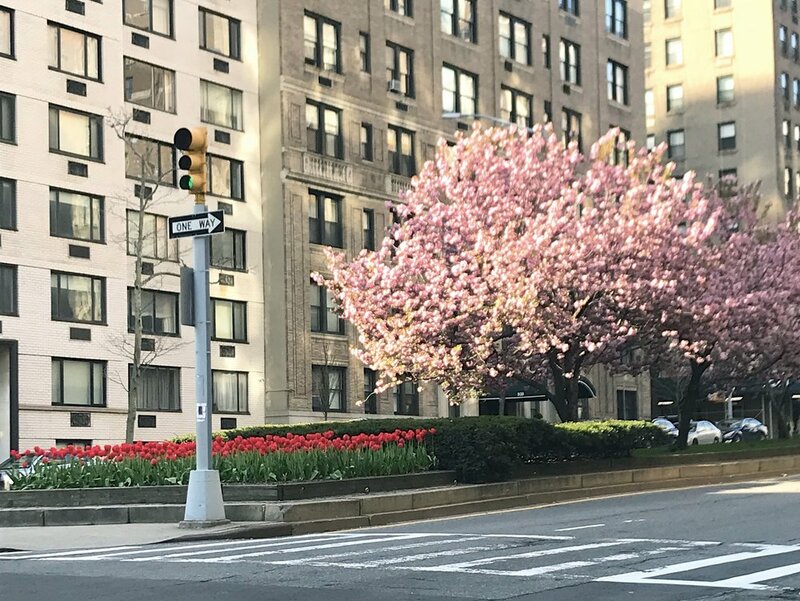 Take a walk down Park Avenue during the tulip bloom and try to not smile. It’s impossible! We can thank landscaper Peter van De Wetering (joined recently by his son Anton) for planting and maintaining the median strip of Park Avenue since 1959. Stroll your local park! Frequently residents join together to plant and maintain these little gems. 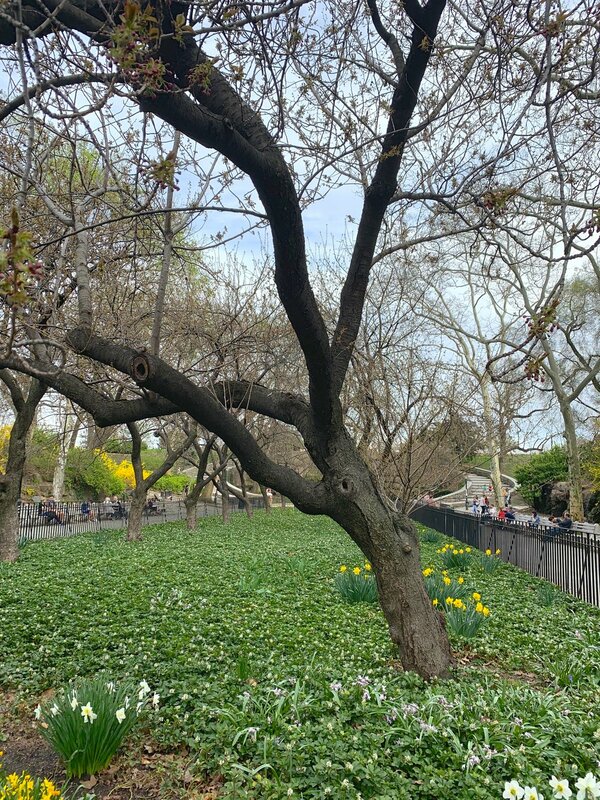 Carl Schurz Park, for example, is bustling with dazzling flowers and landscaping, all made possible by the Carl Schurz Park Conservancy started by volunteers and neighbors in the 1960s. 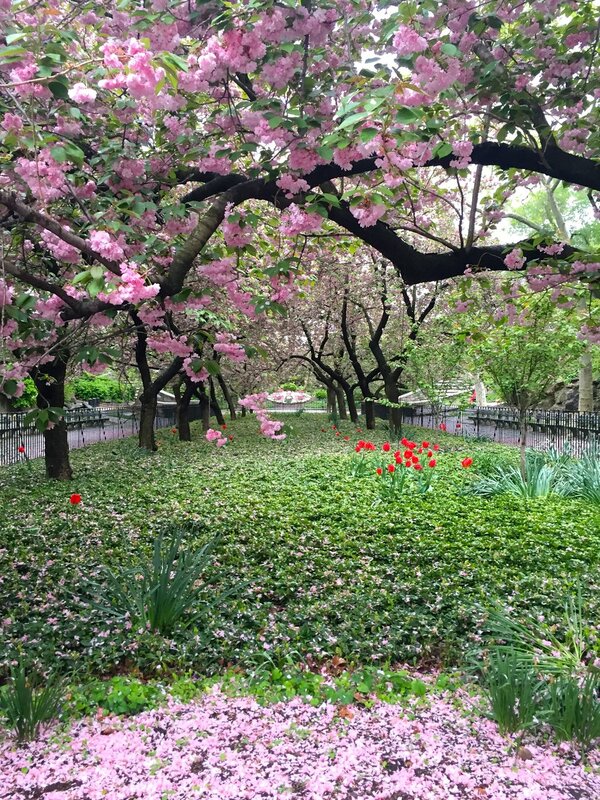 Come sit under the cherry blossoms surrounded by tulips and other greenery and feel the happiness. It’s easy to think of flowers as an indulgence. They are expensive and unnecessary, considered a “material good.” However, if for the small price of a weekly bouquet of tulips you can lift your spirits for days to come, why shouldn’t you treat yourself? I certainly smile every time I walk into my apartment to a vase of flowers on my kitchen island, regardless of how long or stressful my day was. From the flower district on 28th Street, to the orchid show at the New York Botanical Garden in the Bronx, or your local bodega on the corner, there’s flowers for every time, place, and budget just waiting to brighten your day. Thanks for taking time to read my blog. If you have any comments please feel free to email me.